While this looks like a very unsavoury mix, the results last very long and can be reheated with no problems. This recipe has been used and re-used plenty of times, either by US officials to justify policies or by media outlets. But given how the media critically accepts everything when it comes to foreign policy, there is hardly a distinction to be made here. 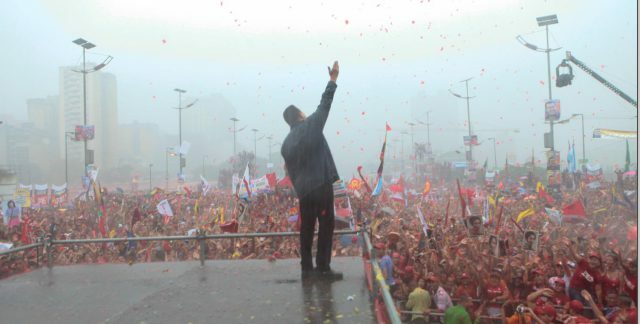 A classical example were the fabricated connections between Chávez/Venezuela and al-Qaeda . Other variants involve dealings with the FARC (1), Mexican cartels, and the favourite dance partner is Hezbollah. On one hand, the US’ relation with al-Qaeda is now a bit more complicated, as extremists may get bombed if they are in Iraq but supported if they cross into Syria. On the other, Hezbollah is the biggest obstacle to Israeli hegemony and the colonisation of Palestine. This kind of propaganda is reminiscent of the effort to fabricate connections between al-Qaeda and Saddam Hussein in order to justify the invasion of Iraq. Some outlets would even have us believe North Korea was supplying arms to Hamas! The most recent story involves the newly-appointed vice-president, Tareck El Aissami, who is a perfect ingredient because of his Middle Eastern ancestry. Even though he was born and lived all his life in Venezuela, his parents are Druze immigrants from Lebanon. The storm started with a CNN “story” about the Venezuelan embassy in Iraq selling passports to dangerous people, including members of Hezbollah, who would then use them to attack the US or its allies. This operation was claimed to be directed by El Aissami. This story was directly quoted by Marco Rubio during a renewed push by US lawmakers for more sanctions against Venezuela. These came later from the Department of the Treasury, this time linking El Aissami to Mexican cartels. With a little more effort even the North Koreans might have been added to the party. All in all, there are many things that do not add up. First of all there is the issue of Hezbollah plotting terror attacks the US, but we will not go into detail here. It suffices to say that the evidence of Hezbollah involvement in terror attacks abroad is, at best, very thin. Then there is the sectarian issue. Western media, at the behest of western allies in the Middle East, keep stirring up this supposedly grave Shia threat, with Iran and Hezbollah even conspiring to reshape demographics and create an all-Shia corridor in the Middle East. And yet their man in Venezuela is a Druze. Equally ludicrous are claims that there are Venezuelan training camps in Lebanon and vice-versa. Hezbollah’s main foe is right next door, but somehow it would need training camps halfway around the world! The links to the drug trade presented by the Treasury are equally flimsy, and were picked apart masterfully by Larissa Costas. The “star witness” of CNN’s expose, Misael López, has since been revealed to be a close associate of Ana Argotti, who is in turn very close to Lilian Tintori and Leopoldo López, the hard-right politician jailed for his role in the violent activities during the 2014 guarimbas that resulted in over 40 deaths. Argotti has defended several members of the opposition charged with violent crimes during this period. As for Misael López, he is also under investigation for alleged sexual harassment and attempting to withdraw funds from the Venezuelan embassy in Baghdad. 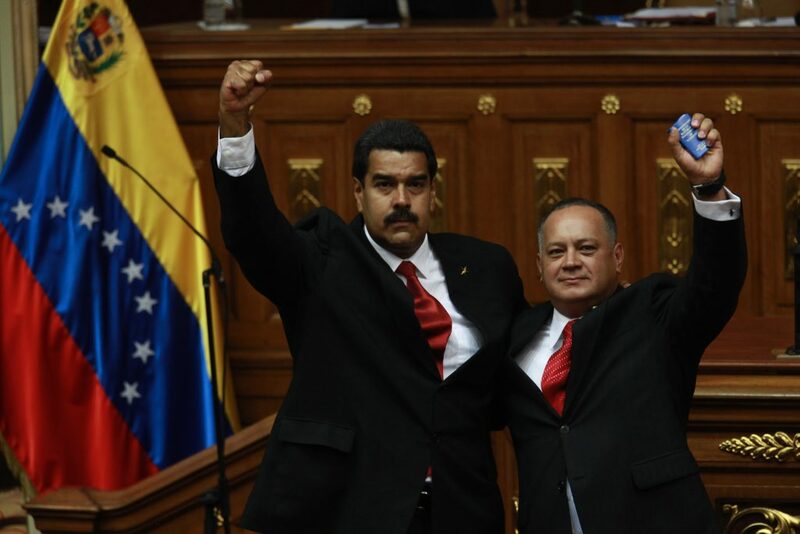 Another high-profile fake story, followed by sanctions, involved Diosdado Cabello, an important figure in the ruling PSUV and head of the National Assembly at the time. Based on the account of a former bodyguard turned star-witness, now living comfortably in the US, Cabello was accused of being the boss of the elusive Cartel de los Soles. This is supposedly a very important Latin American drug cartel run by the Venezuelan military. The problem is that, unlike the stories we hear of cartels violently making themselves known and marking territory, here we have a drug cartel run from the highest levels of the Venezuelan state operating without anyone really noticing it. It is like the Illuminati version of drug cartels. Venezuela is often presented as an obstacle in the war on drugs, but the truth is that the main actor in the cocaine trade is neighbouring Colombia, the empire’s best friend and largest recipient of aid in the hemisphere. Any list of officials connected to the drug trade has to start with (former Colombian president) Álvaro Uribe if it is to be taken seriously. We are talking about the country where the para-politics scandal broke, revealing that dozens of elected officials had links to paramilitary groups, the heart and soul of the drug trade. And yet we never hear stories of Colombian politicians or military officials, who cooperate closely with the US military, being involved in illegal activities, nor have sanctions ever been imposed on them. This double standard is only outrageous if we believe that the war on drugs is actually designed to eradicate the drug trade. Rather, it is supposed to manage it. In fact, drugs have been very useful for US agencies, for instance to pacify black communities and derail the black liberation movement in the 1970s. Coupled with draconian legislation and harsh sentences, today they serve to feed the very lucrative prison industry. In any case, large amounts of cocaine are consumed in the very place where the drug money is laundered – Wall Street. Even when a massive drug money laundering scheme is uncovered at a major US bank, a mild slap on the wrist and a fine worth a few days’ profit is all that can be expected. None of this is intended as an endorsement or an exoneration of El Aissami, Cabello, or anyone else. But these news and unproven accusations, as well as others targeting lower-profile officials such as Néstor Reverol, are not meant to prove anything or to lead to any judicial prosecution. They are simply thrown out there and blindly echoed by an uncritical media, they are meant to create background. 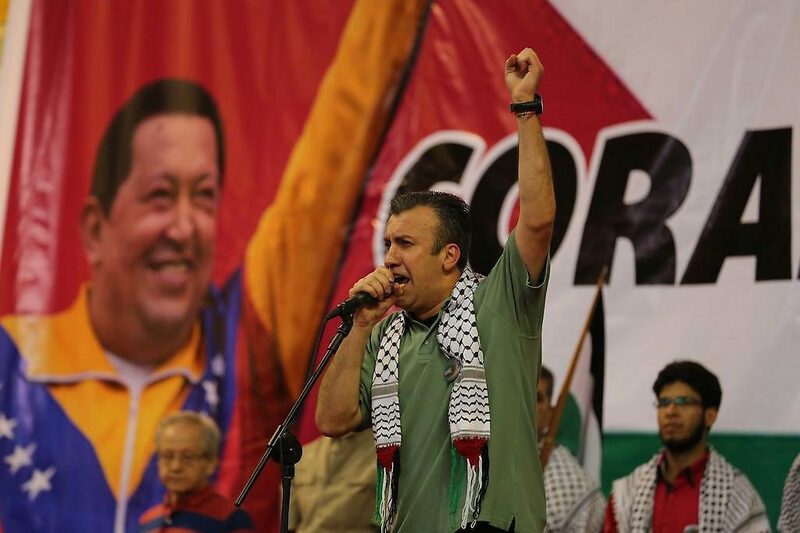 From now on, whenever Tareck El Aissami appears in the news we will read that he has links to terrorism and the drug trade, and thus whatever he says or does will build on this background. For the past two decades, Venezuela has been the biggest thorn in the US’ side, a real nuisance in Washington’s “backyard”, striving for an independent course (a “second independence”) and leading the efforts for a regional integration which is not subjected to the interests of the Northern empire. The US responded with its traditional regime-change operation, destabilising at every turn, funding opposition groups, imposing a de-facto financial blockade on Venezuela, even working to lower oil prices. Their natural allies, the Venezuelan elites, have also been outraged that the country they used to own has been taken away from them, and coup-plotting has become their way of life. And therefore these fake news are pre-emptive justification for a future coup or foreign intervention. Should one of these take place, the media will be ready with plenty of hyperlinks to these fake stories that present Venezuela as a failed, rogue state, connected to terrorism and the drug trade. The coup/foreign intervention would then look like the benign empire saving the world from this threat. (1) While the FARC have been involved in the drug trade, it has mostly been at the lowest levels of the chain, levying a tax on sales of coca crops. Associating them, and only them, to the Colombian drug trade, is incredibly dishonest and exonerates those who profit the most out of it.